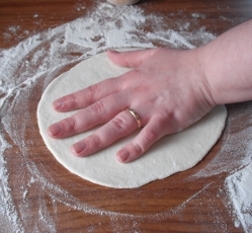 Learning how to roll dough is quite simple and you'll get better as you practice. 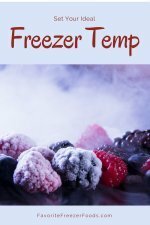 I use the same technique for all sorts of recipes from breakfast to dessert. Biscuits Skip the turning part, the dough is too fragile. I usually use a rolling pin to roll out my dough. The less dough you use the thinner you can roll it. 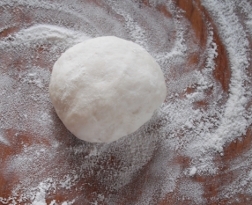 Start by lightly flouring your table or countertop and form the dough into a ball or disk. Flour the rolling pin and work from the center out. I roll away from me and then put the pin back in the middle and roll toward me using even pressure. Even pressure also helps keep the nice round shape you started with. Don’t roll over the edges of the dough, this makes the edges too thin. Give the dough a quarter turn. I try to use my whole hand because picking up the dough would stretch it. This ensures that the dough isn’t sticking to the table or counter as your rolling it. 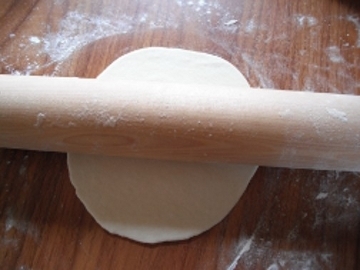 If the dough sticks at all dust the table, also dust the top of the dough or the rolling pin if it starts to stick. Learn more about making breads. 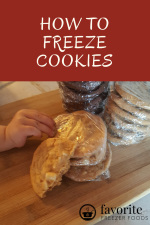 Return from How To Roll Dough to the homepage of Favorite Freezer Foods.